Working with Rouge projects the idea to create a mechanical mixologist which we could bring to life was an exciting opportunity. The mixologist is a combination of processes which automates the pouring of the perfect Negroni. 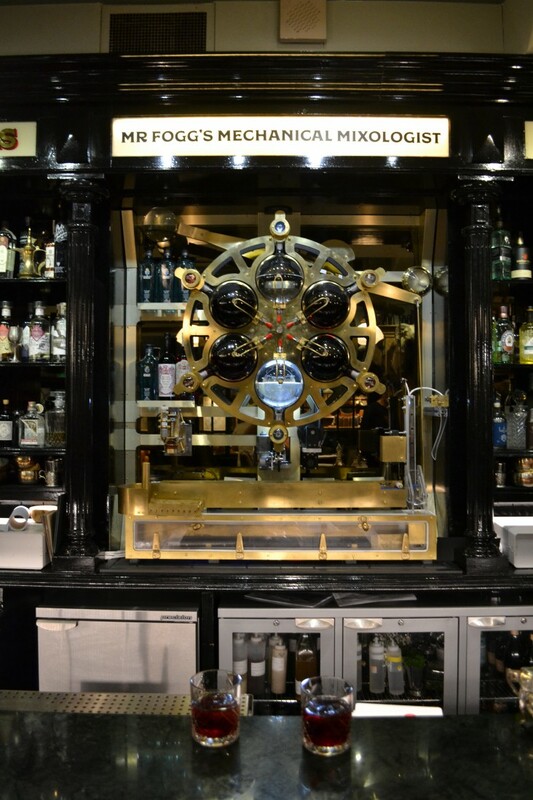 The project was installed in Mr Fogg’s Society of Exploration in Covent Garden, London. The machine automatically moves an ice cube and glass through a range of motions which then rotates a wheel of ingredients in order to pour the user a Negroni cocktail. Here’s a video of the build process, courtesy of the Inception Group and Rogue Projects.